3rd Platoon, B. Company 643rd TD BN. WALLINGFORD, CT - Ferd Eugene White Sr., 93, (not Fern or Fred), but Whitey to his friends from LANE Construction Corp. of Cheshire, CT, passed away peacefully on Tuesday, June 27, 2017, at Midstate Medical Center in Meriden, CT. Born June 2, 1924 ,to the late Perley and Edith (Brown) White, he is survived by his wife of 68 years, Joyce Elaine (Getchell) of Caribou, ME. Ferd enlisted in the U.S. Army during WWII on February 24, 1943. 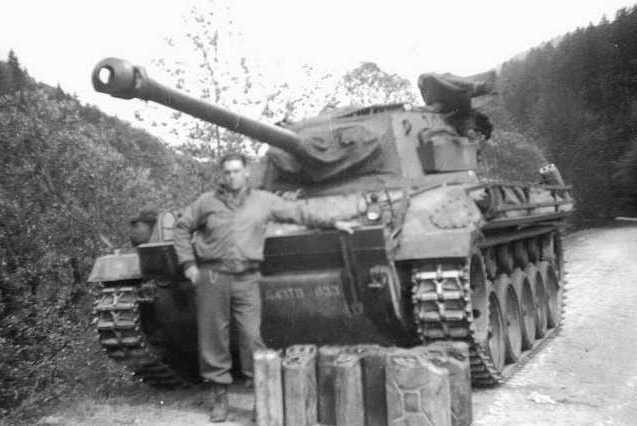 He was a member of the 643rd Tank Destroyer Battalion in the initial invasion at the Battle of the Bulge, in Sherbourne, France. He was awarded the Good Conduct Medal, the World War II Victory Medal, the American Service Medal, and the European - African - Middle Eastern Campaign Medal for his service. 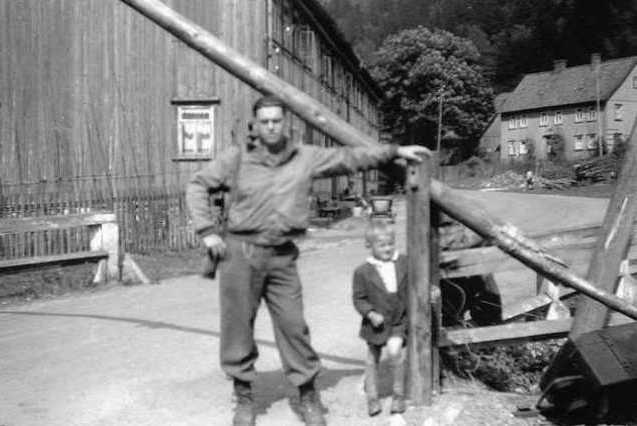 One of his great disappointments was to be discharged from the military service as infantry, instead of being discharged under the 643rd Tank Destroyer Battalion. 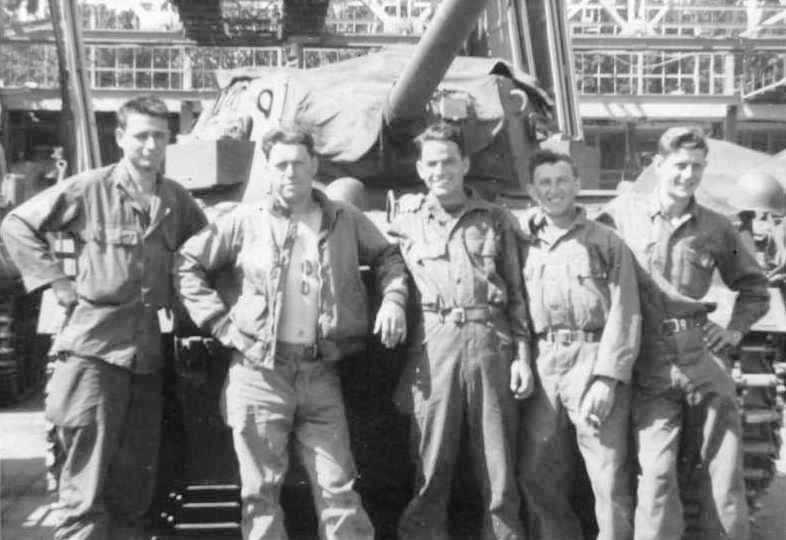 Army Buddies, from left to right; George Rickard, Ferd White, Jack Meyer, Narduzzo Mele, and Carl Shipman.